When I was first given the opportunity to read Zoe’s Tale, I had bought a copy of Old Man’s War just weeks before but hadn’t yet started reading it. And after some thought, I decided I wouldn’t read OMW — at least not yet. 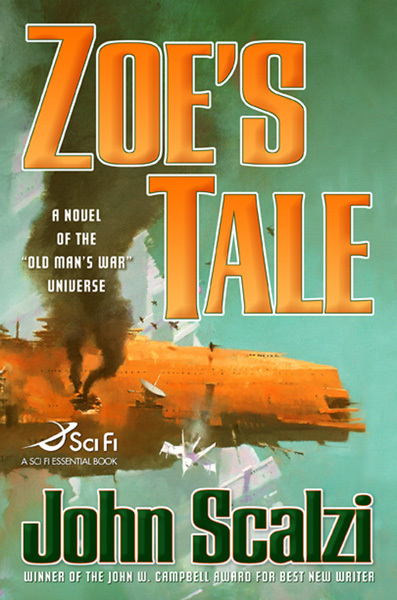 I realized that I would be missing out on a lot of substance and nuance from Scalzi’s universe if I skipped ahead to Zoe herself, but I’d heard that Zoe’s Tale worked as a standalone novel. So, I grew curious to judge that for myself. The review that follows thus is written from the perspective of someone who really doesn’t know what the heck was going on before (aside from generalities from the world of OMW) but nevertheless discovered that Zoe’s was a good read in itself without its predecessors after all. An edited version of this review originally appeared in the April 2006 issue (#212) of The New York Review of Science Fiction. The urge for authors to write a novel in response to Robert A. Heinlein’s Starship Troopers is completely understandable. In addition to the genre’s well-established internal dialog, Heinlein’s statue and influence in the field, combined with his didactic and inflammatory statements concerning citizenship and the responsibilities of those who serve in the armed forces, almost demand a response from each new generation of sf writers. 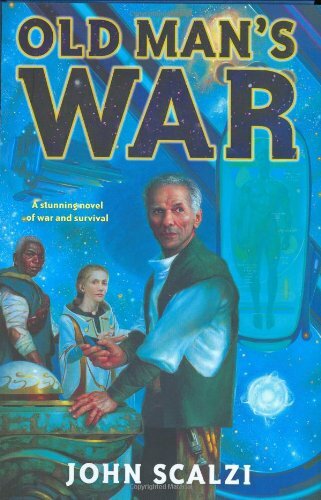 What’s really amazing is that it inspired John Scalzi to compose Old Man’s War, a novel that in some ways is very similar to Joe Haldeman’s The Forever War, even though Scalzi never read Haldeman’s classic. Don’t let the structural similarities fool you though; Heinlein inspired Scalzi to write something different from Haldeman’s take on the material nearly 30 years ago.